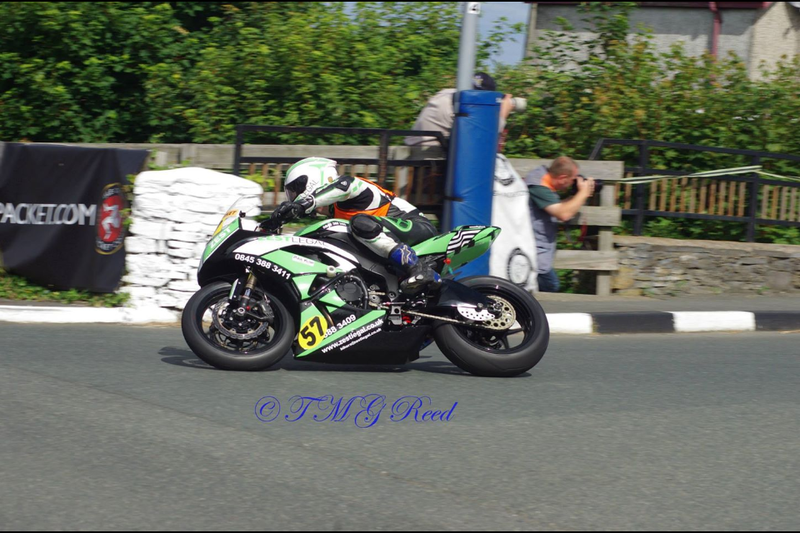 The Southern 100 takes place on the Billown Circuit in Castletown, IOM. It is a 4.25 mile circuit on public roads. Practice begins mid-week with racing on the Wednesday and Thursday, usually on an evening. We were blessed with fantastic weather for this event which made it all the better! This was my first “real road” race and was really looking forward to it to see if I’d take to it or not! With the obvious dangers apparent, such as stone walls and lamp posts ever so close, any mistakes are going to hurt! I arrived Saturday evening with my dad after a pleasant sailing from Heysham. I had already done some laps in my van around the circuit when I’d been over in the past, so sort of knew where I was going but knew nothing about the racing lines, braking markers, tip in points etc. Practice started Monday evening, so after a little tinkering with my bike on Sunday I was ready to go. The first thing I noticed about the meeting was the friendly atmosphere. The Southern is known as the friendly races but it was such a great feeling being in the paddock with genuine likeminded folk. It all started with two sighting laps behind a marshal for me as a newcomer. WOW! I was having a party in my helmet. Very very bumpy, just trying to hold on whilst getting bounced around on my bike still set up from Oulton Park! For the roads you have your suspension set up a lot softer to soak up all the bumps as it’s not a silky smooth circuit. Lesson number one – my fault and I should have took it along to the meeting, but I had a softer rear spring at home and luckily a friend of mine was due the following day so I was straight on the phone to get him to bring it for me. The sense of speed was unreal, going past people’s houses and running so close to walls and hedges certainly got the adrenaline going! I did a 94mph average in my first practice but knew my bike set up was way out. During the day I fitted my softer rear spring and met a guy from the Netherlands named Paul Kopp, who happened to be a suspension guru and really helped me with my bike set up. The suspension was still too hard for the roads but he set it up the best he could with what we had. 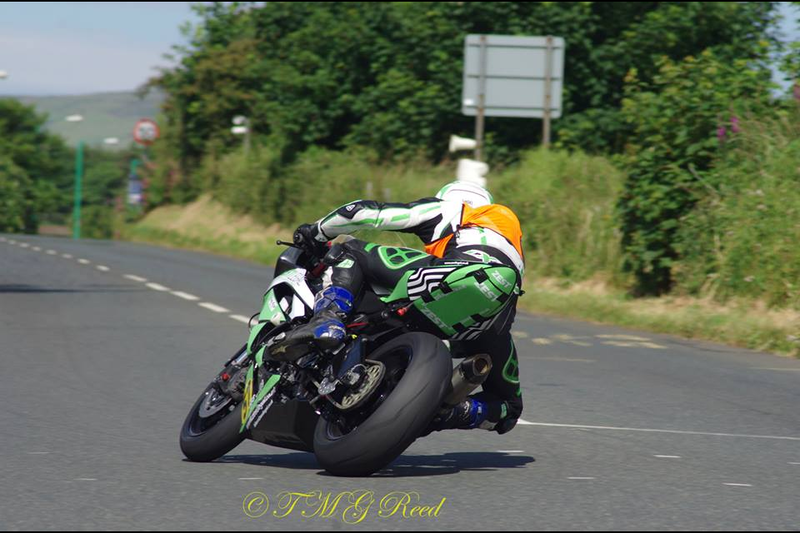 The bike did handle ten times better and straight away went faster and I managed a 97mph average. I was really getting into it now and finding my feet. I did some laps with another good friend of mine who is a bit of a legend around the Southern, Tim Poole. He taught me so much in just a few laps about braking and the correct lines etc. You have just got to make it, have it and get the drive everywhere full throttle where you dare! In the day paddock I was pitted next to Michael Dunlop, who needs no introduction, the number one road racer around at present, a really talented guy. That’s the thing with racing on the roads. 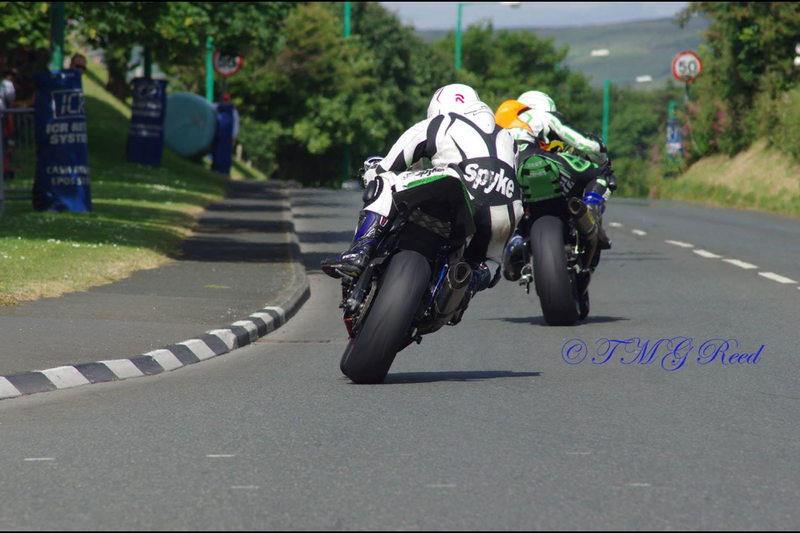 Michael Dunlop is the Rossi of road racing and there he was right next to me just starting out. There are no prima donna’s around here! Everyone is working out the back of a van just enjoying everything on two wheels. I qualified for the 600 A race with the fast boys. I was about 19th from 27 starters, so was happy with that first time round. I made up a few places and finished 14th but used this race as further practice, winding my neck in just trying to follow other more experienced riders and learn from them. Again the atmosphere was electric. 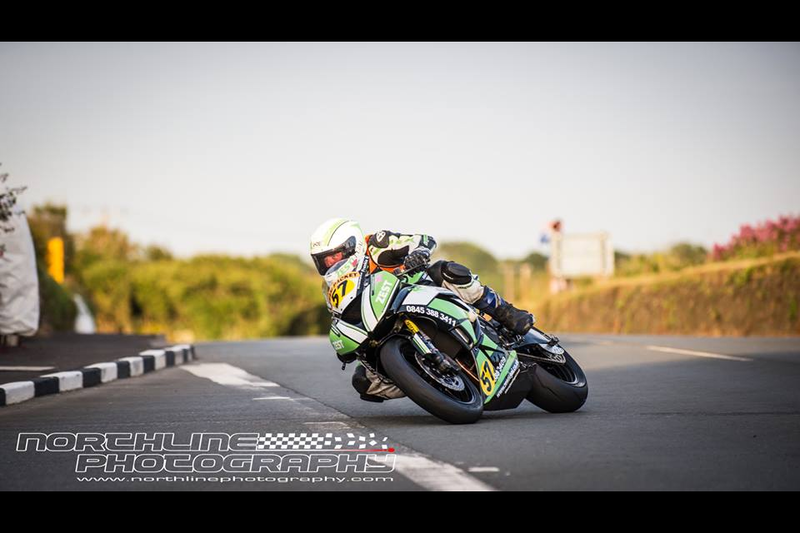 Dean Harrison took the win from Guy Martin. I had a smile from ear to ear Wednesday night, buzzing. Beers and BBQ time! I went faster again in the race and posted a 101.3 mph average, roughly 2.29 seconds a lap as opposed to the leaders doing 2.20 second laps. I was really happy to have done over a 100mph average as earlier in the week that was my personal aim. I was placed in the 600 B race today starting on the front row of the grid! That’s a first! Looking at the grid of riders names there were some fast experienced guys about. The first thing I thought was that I have got to make the most of a front row start. Watch the lights then get my head down. The race turned out to be a cracker! I got a good start and was leading the first lap then second place came past me on the start and finish straight and I thought, right we have got a race on here boys!For 6 laps we were neck and neck both pushing each other and when I came round for the 7th and final lap I knew I had to get a gap between us so I upped my game and pushed on. As I came round the last corner I had a quick look behind and he wasn’t there. I had done it! I’d won.I was buzzing as I never thought all week about turning up and coming away with victory. It felt so good being on the top step of the podium and just happy for all my family and friends who were there. I did a 103.8 mph average in my last lap which was my best all week (2.26 sec lap), very pleased with that considering I’m still on a stock engine. This event has given me loads of confidence and the best racing week I’ve had to date. Besides the win everything has been a good do! The win was a bonus! 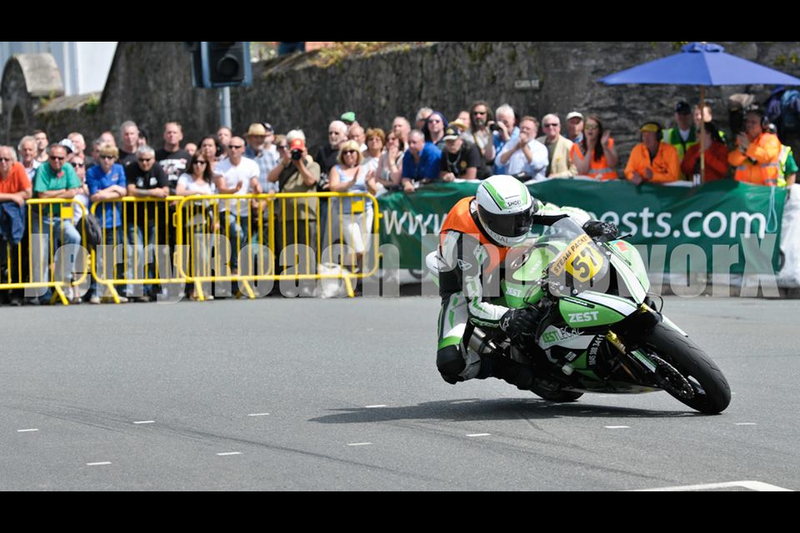 I am now looking forward to the Manx Grand Prix in August. My bike is stripped down and the engine away for rebuild so everything will be fresh and ready to rock at the Manx! Huge thanks to everyone involved but more to the point, Zest legal, thanks for all your help and support.